Started her music career from the age of 5 on the piano. 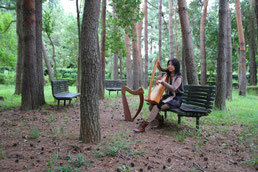 finally she found an Irish harp the best partner for her music life. and chromatic harp) as well. 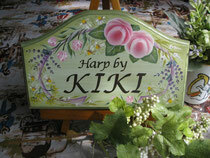 by KIKI, Irish and English traditional songs, and hymns. Attended the Voice & Harp workshop by Moya Brennnan in 2013 in Donegal, Ireland. On the way back to Japan, KIKI had concerts in London for the Japanese residents. 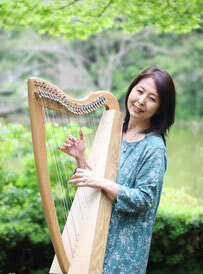 Recently, KIKI teaches the harp and singing, using her original method.